It is time for OnePlus to launch its new smartphone, and here we have a photo of OnePlus 5's possible design. Well, if you are thinking what happened to OnePlus 4, if you remember OnePlus 3T was a model released after OnePlus 3. Well the photo is not actually showing all the sides of the OnePlus 5, but only the rear side of the device. If this will be the design then I'm up for it. There is dual-rear camera placed in a vertical form with flash below it. We have the OnePlus logo in near center of the rear. Looking at the design, the left side will have power button, volume buttons. Like other OnePlus devices, the right side button might be alert slider. 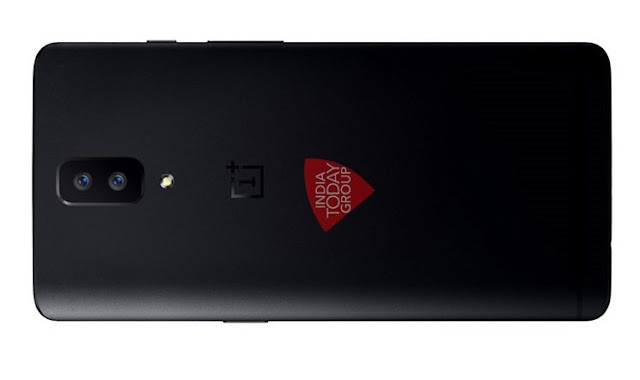 OnePlus looks like it will go with curved edges, which does look good. If you look closely we can see very slightlyc antenna bands which are a bit darker. The devices might follow the OnePlus 3T or OnePlus 3's aluminium body or a metal body. That would be good to see and use. The rear side does not pack a fingerprint sensor, sooooooooo. Regarding the specs, I will presume that it will come with a 5.5-inch 1080p Display, 6GB RAM, Snapdragon 835, 8MP front camera, 12MP dual rear camera (one of them could be wide angle lens), 4,000mAh battery, Android Nougat OS. Keep in mind, these is my wish list of specs for the OnePlus 5. What else can you make up with the image?